Andrew Tarantola in Engadget summed up its significance. "Intel's NCS2 is essentially a self-contained neural network on a thumbdrive and should make developing those sorts of devices faster and easier by offloading much of the processing power required to train them to its onboard Movidius Myriad X vision processing unit (VPU)." The debut took place Wednesday, Nov. 14, at the Intel AI Devcon in Beijing. The stated purpose of the stick is to build smarter AI algorithms and (2) "prototyping computer vision at the network edge." The Intel news release said the stick "speeds the development of deep neural networks inference applications." 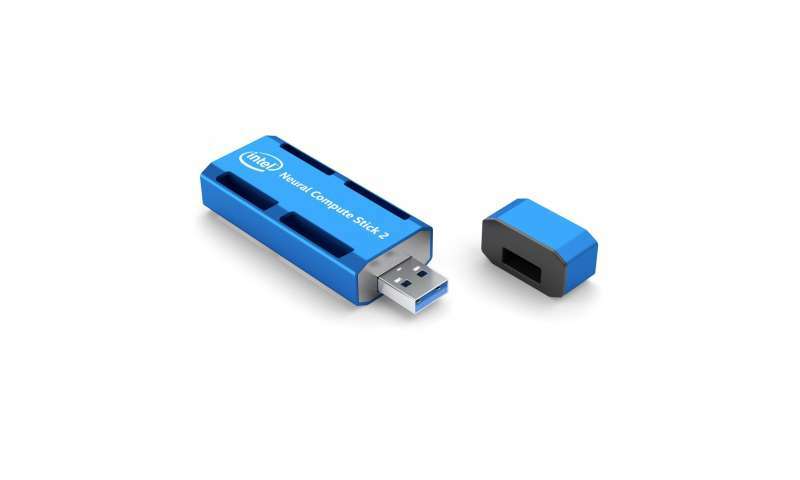 Simply put, Intel Neural Compute Stick 2 is to enable deep neural network testing, tuning and prototyping. And, what that means for developers—focused on projects such as smart cameras, drones, or industrial robots—is that they will be able to swing from prototyping into production. Those two words that are familiar sounds in product promotions in the tech industry will carry special resonance for such developers—doing things faster, smarter. "With a laptop and the Intel NCS 2, developers can have their AI and computer vision applications up and running in minutes," said the release. 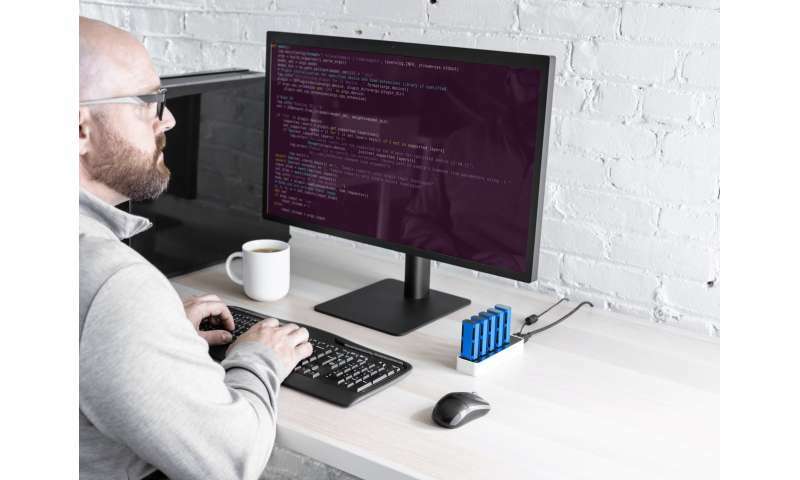 PC-trained models, said the release, can be deployed to a wide range of devices natively—without cloud connectivity. Tarantola remarked: "Basically, it enables you to develop AI algorithms and computer vision systems locally (ie on your laptop) without needing a connection to the Cloud or even the internet." VentureBeat had a phone interview with Jonathan Ballon, vice president and general manager of Intel's Internet of Things Group. Ballon commented that the stick was "practically tailor-made for testing smart cameras, drones, industrial robots, and smart home devices." He added, "For the past four years or so, so much of AI has been happening in the cloud or datacenter, which is fine when you've got large volumes of data and you have unlimited compute resources, and power and cooling," Ballon said. "[But] outside of the datacenter, power consumption is hugely important, as is heat and cost." The news release walked readers through the technical features, including the latest generation of Intel VPU – the Intel Movidius Myriad X VPU. "This is the first to feature a neural compute engine – a dedicated hardware neural network inference accelerator delivering additional performance." For those unfamiliar with the stick, notice the 2: this newcomer is said to deliver a performance boost over the previous generation neural compute stick. The first-generation Intel NCS, launched in July 2017. "The first-generation Intel Neural Compute Stick sparked an entire community of AI developers into action with a form factor and price that didn't exist before," said Naveen Rao, corporate VP, general manager of the AI Products Group. It looked as if SlashGear was suitably impressed. The Wednesday headline: "Intel Neural Compute Stick 2 promises 8x the power at a silly price." Chris Davies said in the article, that meant "eight times the performance of its predecessor, despite the compact size." Availability? And at what price? The new Intel NCS 2 is shipping worldwide from Nov 14. Kyle Wiggers, VentureBeat, had some details. It will be available through JD.com in China; RS Components in Europe, the Middle East and Asia; Switch Sciences in Japan; and Mouser worldwide, for $99. No, nobody is pretending it's worth the money for your niece who teaches conversational French and has to craft a few lesson plans. As Stephen Shankland explained in CNET, "it's good for prototype creators who want to see what the brainlike neural network technology can do with a hardware boost." The two-day Beijing event is an AI developer conference.